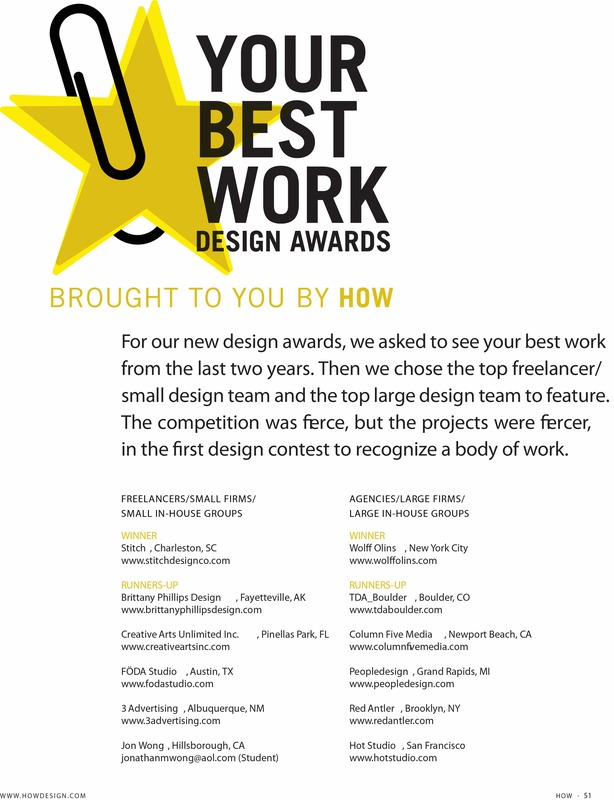 HOW Your Best Work Awards: Small-firm Category Winner « Stitch Design Co.
HOW Magazine put out a call for entries to design firms across the country asking to see their best work from the last two years. 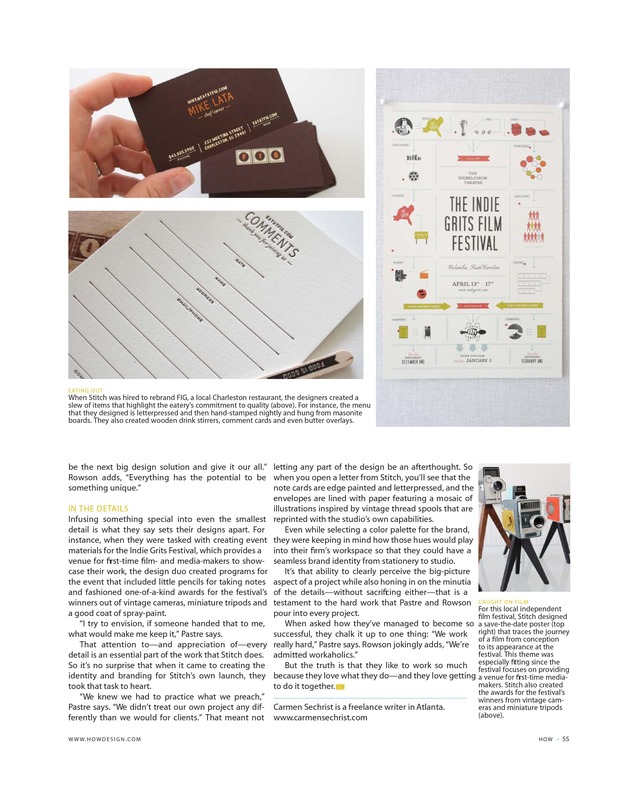 They chose one small design firm and one large firm to feature. 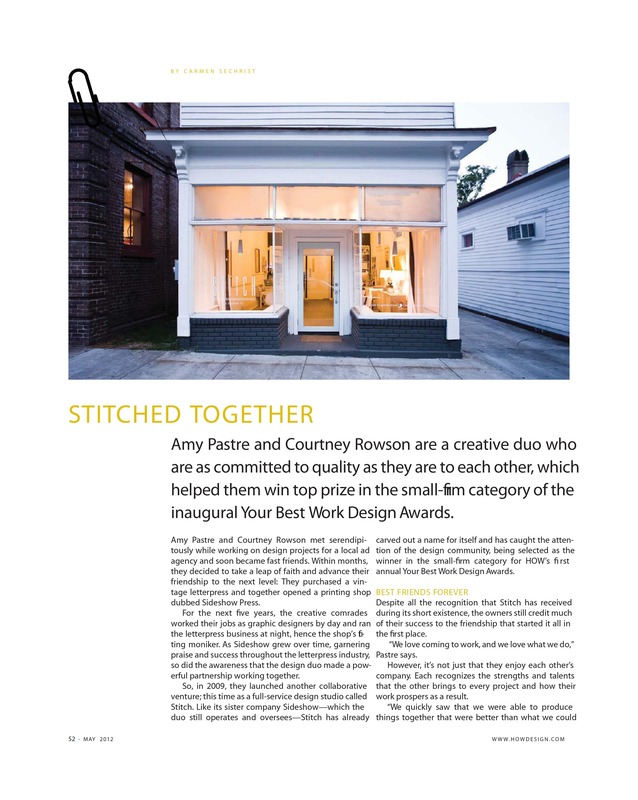 Stitch was awarded the winning spot in the small design firm category! 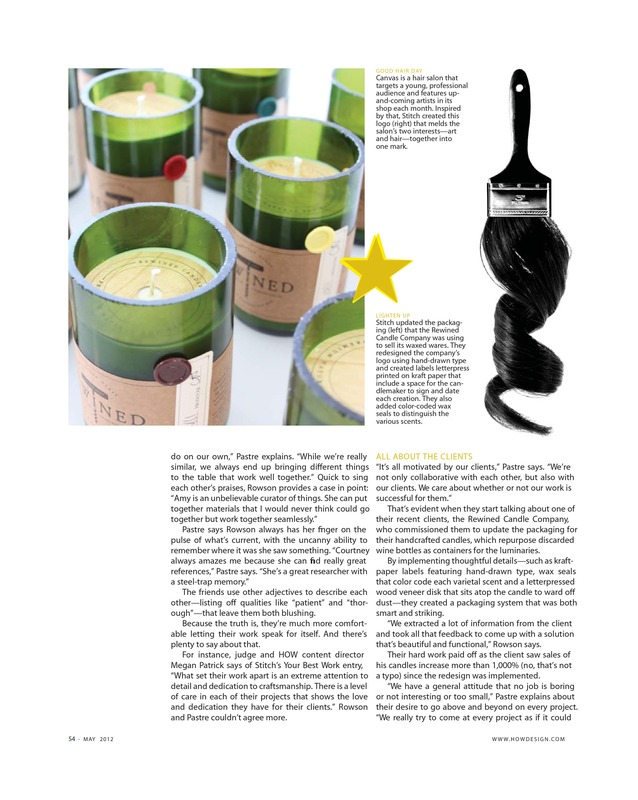 Thank you to HOW Magazine and Carmen Sechrist for a wonderful article – we’re beyond flattered and thrilled. 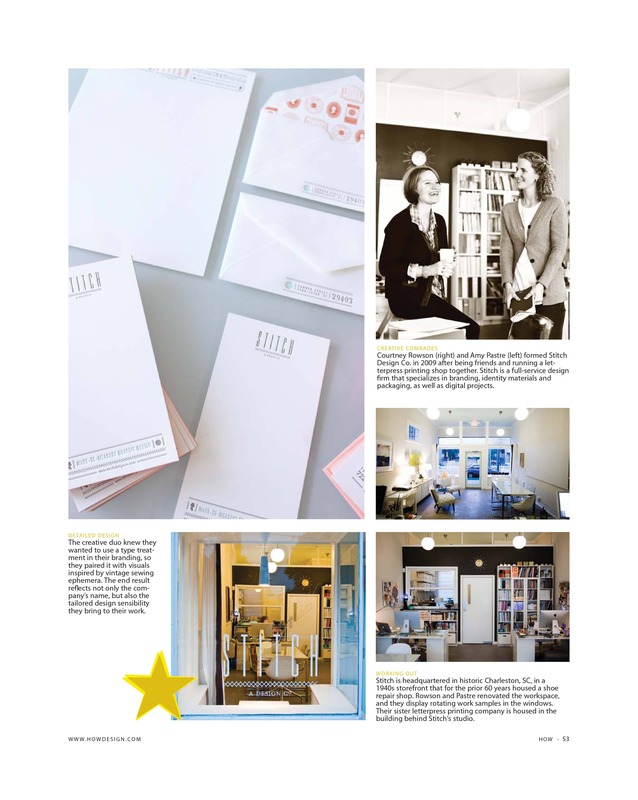 And special thanks to Peter Frank Edwards for the amazing photos of our space and Gately Williams for the image of Courtney and Amy. This is really incredible. Congratulations to you both & to Kathryn! Like I said, I am still a huge fan and can’t wait to see what’s next. oh wow! Congratulations! That is just incredible. I’m so happy for both of you. Can’t wait to see what kinds of interesting new projects you get in the future from this. What a great interview. It’s so fun to get a peek inside of your creative brains!